“15% discount ” I believe you have seen this word at least once since you were born until now and I also believe it gives you at least a bit of the glue what I’ve been working and studying on in math class. I can say that I know nothing about Percentage except the sign that represents a percentage “%”. It has been a really good lesson to take during my math class. We did a lot of exercises related to the percentage. I also meet a lot of struggles during the lesson, but I always find a way to solve it as fast as possible because I want to make sure I know exactly what I was doing. Khan plays a really important role in my life because when I have free time I always try to do at least 3-4 Khan Assignment that Sam (our math’s facilitator) assigned to us. At the end of this round, I finally know at least 95% of the percentage lesson. For this round, we are really focusing on learning/reading about a different kind of novel. Our facilitator decided to divide us into four different teams and each has was assigned to read a different book and try to finish it in a month. The books were Wonder by R. J. Palacio, Looking for Alaska by John Green, Monster by Walter Dean Myers, and The Outsider by S. E. Hinton. My friend, Rayuth and I were assigned to read the Monster book. It is a really interesting book to read because it was so different from other books that I have read because this book is written in a screenplay and it is really easy and convenient to read. This story talks about a 16 years old boy, Steve Harmon (the main character in the story) who was accused that he involved in a crime in the drugstore and was sent to the courtroom for a trial. First, it is really difficult for me to understand what is the author trying to tell us, but then I decided to reread it and then I finally get what the author really means. I also learn a lot of new vocabularies from this book, too. Here is the cover of the book in case you want to see it. For this round, we are really focusing on learning/reading about a different kind of novel. Our facilitator decided to divide us into four different teams and each has was assigned to read a different book and try to finish it in a month. The books were Wonder by R. J. Palacio, Looking for Alaska by John Green, Monster by Walter Dean Myers, and The Outsider by S. E. Hinton. 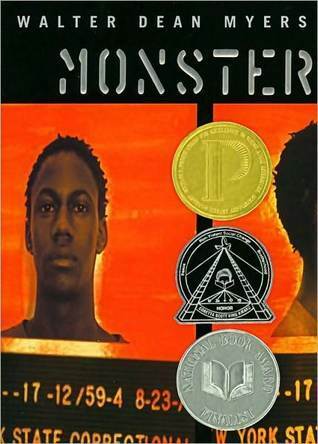 My friend, Rayuth and I were assigned to read the Monster book. It is a really interesting book to read because it was so different from other books that I have read because this book is written in a screenplay and it is really easy and convenient to read. This story talks about a 16 years old boy, Steve Harmon (the main character in the story) who was accused that he involved in a crime in the drugstore and was sent to the courtroom for a trial. First, it is really difficult for me to understand what is the author trying to tell us, but then I decided to reread it and then I finally get what the author really means. I also learn a lot of new vocabularies from this book, too. Here is the cover of the book in case you want to see it. In this round, we are trying to learn something new and it is also challenging. This round we finally get to do CODING, but we not yet start with the complex coding language, we decided to start with python. Even though python is not one of the most complex coding languages, but I still meet a lot of problems and challenges. The main two sources that we use for this are codeboard.io and codecademy.com. First, we start off by taking a lesson in Codecademy and for the first few problems in Codecademy is really easy since it is just an introduction to python. Then, we started to learn more about python and trying to deep/dive more slowly and get to know more about python. Then, we started to do a lot of more complex exercises in codeboard.org that our facilitator, Cindy made for us and gave us to solve them, but by the end of the round I can see that I really learn a lot of things about python. This is a link to see my codeboard.org exercises in a google doc. It was the best trip that I have taken before in my whole school year. It was a really great experience to try new things around me. On the first day, we spent most of the time just riding on the bus from Phnom Penh to Mondulkiri, but it still pretty cool when we started to arrived the rural area of Mondulkiri province because we got to see a lot of tall trees and all of the nature around us. When we arrived Mondulkiri, we just went straight to our campsite and set up our tent and then start to cook our dinner. It was a really amazing dinner because I got to test my friends’ cooking skills and it was DELICIOUS. We also made our own campfire and we also got to sing together and also toast our own potatoes with our campfire and it was also DELICIOUS. It was the best trip that I have taken before in my whole school year. It was a really great experience to try new things around me. On the first day, we spent most of the time just riding on the bus from Phnom Penh to Mondulkiri, but it still pretty cool when we started to arrived the rural area of Mondulkiri province because we got to see a lot of tall trees and all of the nature around us. When we arrived Mondulkiri, we just went straight to our campsite and set up our tent and then start to cook our dinner. It was a really amazing dinner because I got to test my friends’ cooking skills and it was DELICIOUS. We also made our own campfire and we also got to sing together and also toast our own potatoes with our campfire and it was also DELICIOUS. On the second day, we started our day by cooking our own breakfast and then we started to head off from our campsite to go to see the first waterfall call, Lengtrok waterfall. On the way there, we only hike for 3 km. It was tired, but we had a lot of fun when we arrived at the waterfall so it definitely worth it. We also got to learn how to cook our own lunch by using all of the natural resources around us and our guide also introduced us to a new soup and it was yummy and healthy. We also got to feed the elephant with bananas and it was really amazing for me because this is my first time to see the elephant actually out in the wild not in the cage or in the zoo. I also would love to see other elephants have that same freedom as the one that we saw. We spent the whole afternoon there to just sit and enjoy the view and also when it nearly time to come back, we also did a sit and spot activity which we pick and place to sit individually and we need to write, draw, or a create something that descript what you see and what you feel when we were there. On the way back, we have to hike for 4 km and it was extremely TIRED. First I didn’t think I could finish the walk, but at the end I did it and it was an amazing feeling that I could hike for 4 km even though, it was exhausted. When we arrived at our campsite, we just straight to go and cook our dinner and then we started our campfire again.On our third day, we started our day the same thing which we have to cook our own breakfast and then we headed off for another trek, but this time is a long one, but our facilitators told us that it only 4 km like yesterday, too, but it actually not. We didn’t know it until we finished. It was a really hard and long hike, but I’m so proud of everyone that we actually finished the trek. In just that area, there were two waterfalls the first one is much smaller than the second one. The first waterfall was amazing, there were a lot of people to visit the first waterfall. The second waterfall was unpredictable because it was literally amazing and I’m in love with that waterfall. We spend about 30 minutes there and we also did sit and spot and do the same things as the first waterfall. 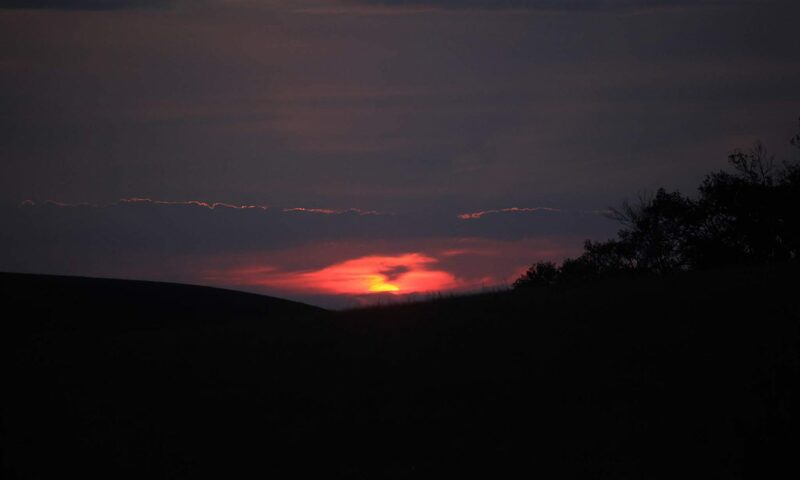 On our way back was amazing because it was fun to go up and down and also enjoy the sunset and I got a lot of cool picture for my friends and also the view. It was fun to play at the grassland and we had a lot of amazing memories together and also wish that I can go there again with the same members. It was a long trek as I said and it was about 12 km in total. For STEM this round is probably my favorite round so far because we were learning about one of the things that I really want to learn. We were learning more about the elements and the periodic table. We learned a lot about the periodic table. We found out a lot of answer to all the question that we have for a long time in our mind. This is some of the question and answer I found about the periodic table while learning about it. Who is the inventor of the periodic table? Dmitri Mendeleev was the inventor of the periodic table. When did the periodic table invent? 1869 is when the periodic table invented. We also found more facts, but this just the two most questions that we really want to know the answers. 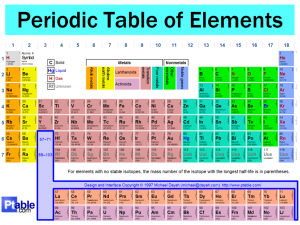 Plus, we also learned about how they arranged the elements on the periodic table. In this round, we also learned about the chemical bonding. We learned two of the bond this round which are covalent and ionic bond. Both of this bond is really hard to explain in words, but we got a lot of knowledge from these lessons. We found out a lot of new facts. We learned most of those facts from our facilitator and we also learned from a free online website which is called CK12. 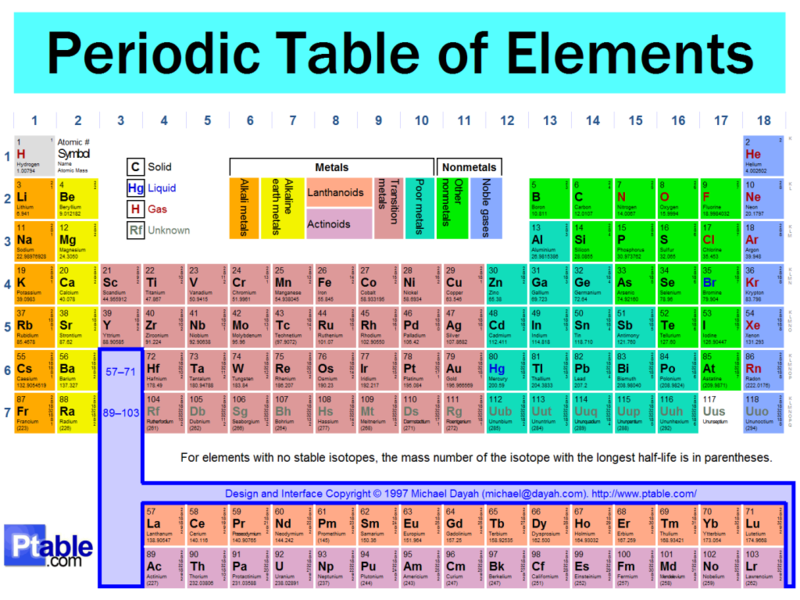 If you want to know more about the periodic table and chemical bonding click on this link. In this round, we learn a lot from our teacher, Cindy. This round we had 3 weeks with her and in the first week, we learned about the structure of the story. On the second week, we learned about the format of photography. On the third week, we learned about videography this round, we learn a lot from our teacher, Cindy. This round we had 3 weeks with her and in the first week, we learned about the structure of the story. On the second week, we learned about the format of photography. On the third week, we learned about videography Structure of the story, we were learning about the Pixar Structure story. It was really fun because we got to write our own short story. I got to experience a new kind of story because I was using a different structure to write my simple and fun story, but for this time I was using the Pixar structure story. I just to learned photography before and this time she added more photography knowledge to me and it was really amazing because photography is one of my favorite things to do when I have free time. We learned a lot about IOS, Aperture, Shutter Speed and more function that related to photography. I got a more information from my classmates because I was on a trip that day. I can’t wait to go out and shoot some photo because I want to apply those skills to my photography. I used to learn about videography, but not that much and this time she taught me a lot of new skills about videography. For all of these activities, we mostly work in teams. There is a lot of section we need to go through. We also learn some new words like shotguns microphone and lavalier microphone. I didn’t know those words before even though, I use all of those microphones because I never got to chance to learn it at my old school (which is government school). We also learn a lot about setting up all of those devices that we need to use. It was really amazing to learn all of that stuff because I don’t think I’ll get at chance to learn it if I’m not apart of Liger students. I’m one of the people in the world that really take music as serious as everything else in my life. I always need music whenever I do all my school works or my other personal works. I also play guitar, so I decided to create a song with my lovely acoustic guitar. This song is about having a crush on someone, but it not actually real, but that idea just come to my mind while I was brainstorming, so I just decided to take this idea. Meteomedia/Technology is learning how to use computer software especially adobe software such as Adobe Indesign, Adobe Photoshop CC, Adobe Lightroom CC and also Classic and more. We learn with our teacher call, Cindy. She had a lot of experience in multimedia, but she doesn’t teach us about all of that software, she actually picks some of our classmates to teach us a lot of those software. I learn a lot about Adobe Indesign, Adobe Photoshop CC and Adobe Lightroom CC from my classmates and before we got to learn all of those adobe software, we also learn how to do research, so one of our HW she gave us to create a poster about our research topic and I also finish it. In adobe Photoshop CC, I don’t really like to edit photos with it, but I like to create memes with and it was so fun to make and it make me laugh every times I make one of it. Adobe Lightroom CC is my favorite adobe software to edit my photos in it because there are actually a lot of good filter in and I also like to take picture, but not as much as the editing so I just let other people to take the picture and I’ll gonna edit the photos for them if they want, too. I actually want to say thanks to all of my classmates because they are so talented and they help me a lot with my problems while I’m learning all of those software. I really love the way all of my classmate teach me about all of those software and it really helpful now, I know how to do a lot of things all those software. STEM or stands for Science Technology Engineering and Mathematics is one of the most important subjects in school. STEM is really important for everyone because everything surrounded us is related to STEM. We learn with our facilitator Da. He is also a Cambodian like us, too. 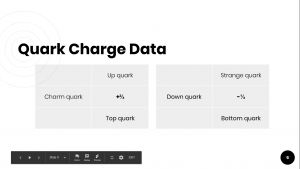 charge (+) and Neutrons that have zero charges (0) and quark actually made up neutrons and proton. There are six different type of quarks they are up, down, strange, charm, bottom, and top quark. Six of those quarks also divided into two different teams and each them charges a different amount. In a proton, there are two up quark and one down quark and in neutron, there are two down quarks and one up quark. That the basic of quark and I hope you learn something from reading this. 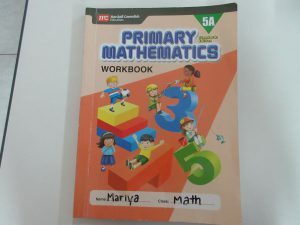 Math is a really important subject in school and also if you really good at math and STEM, you will find a job easily because of both of them got a really strong potential in everything around us. My facilitator in this class is Sam. a lot of new things from Khan academy especially algebra. I took a pre-algebra course this round and I’ll try to finish with the course by the end of the year. Khan is really easy to use and it also free, so if you want to learn more math by your own you can just go to Khan, create an acc and then just pick a course that you want to learn about. 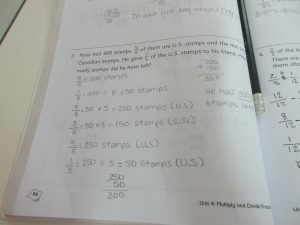 As I said before, I love math problems and I did a lot of math problems in my math book and most of my friends said that when I show my work I’m really organized with it and it easy for them to understand. Even though math is hard, but math is still my favorite subject in school. Welcome to my blog. My name is Mariya I’m 12 years old. I’m from the capital city of Cambodia which is Phnom Penh. 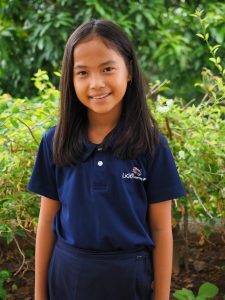 I’m a middle school student at Liger Leadership Academy. I really enjoy doing a lot of things such as; STEM experiment, Typing, Writing and etc…. Music is my motivation, it keeps me going with everything I do for school. Model United Nation and Reading is my choice for me to discover about the world. I don’t just do all of those learning I also participate in sports. I have a lot of favorite sports such us Frisbee, Handball, Swimming and more.